I write from the perspective of a pastor and a bishop. I have served in a mainline denomination for 32 years, and am now in a role that gives me a vista that is, in the language of Ronald Heifetz, more balcony than dance. If there is any wisdom here, it comes in substantial measure from mistakes I’ve made; it reflects both doors that have opened (or been opened) for me, and also, in the words of one of my favorite bluegrass songs, “the trains I’ve missed” (Balsam Range). So, seven words of guidance. 1. 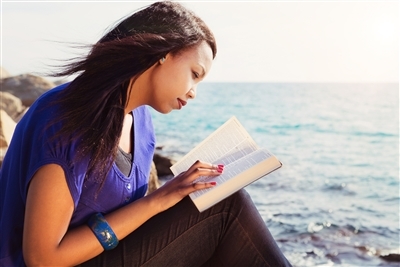 Find a disciplined way to read Scripture. Some years you may read through the whole of Scripture; other years you may read through the New Testament, or the gospels or the prophets. Spend the days between Christmas and New Year’s developing a plan, share your plan with others, and then follow your plan. Most of the clergy in my own annual conference preach thematically, in series; this year, simply for contrast, I am reading the lectionary passages from Scripture each week. And, yes, most years I begin with a new Bible, wise guidance from my spiritual director. Click here for the entire article courtesy of Ministry Matters www.ministrymatters.com.